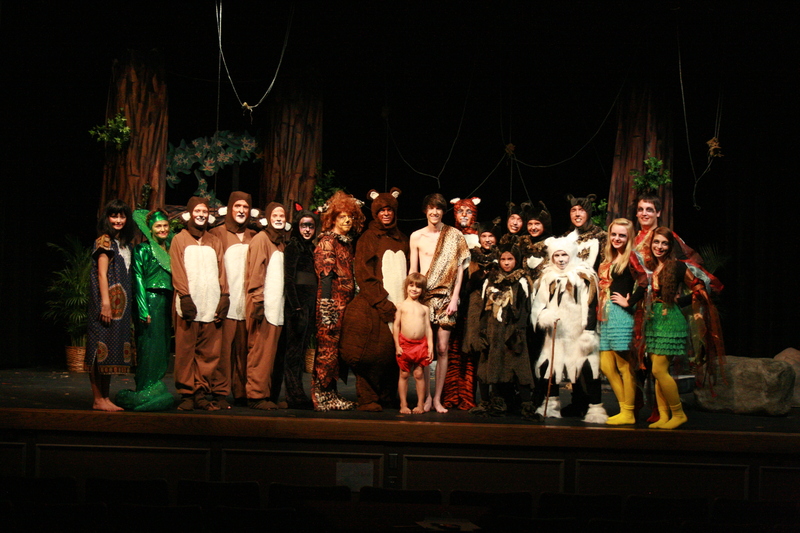 Union Street Players, Pella’s award-winning community theatre, lowered the curtain on our 2012 summer production of The Jungle Book. Audiences were delighted by the colorful set and creative costuming. Congratulations to Producers Deb Linn and Anne McCullough Kelly along with Director Lisa Morgan, their stellar cast and capable crew. Tickets are now on sale for Union Street Players‘ (USP) production of the family classic “The Jungle Book.” This stage adaptation of Rudyard Kipling’s classic tale will delight and entertain all ages. USP has kept ticket prices low to make this live stage experience affordable for all families!! Thursday July 26 @ 7:00 p.m.
Friday July 27 @ 7:00 p.m.
Saturday July 28 @ 7:00 p.m.
Sunday July 29 @ 2:00 p.m.
Director Lisa Morgan has announced the cast of Union Street Players‘ summer production “The Jungle Book.” Production dates are July 26-29, 2012. Help is still needed on the Production Team with costumes (especially sewing), lighting, stage managing and make-up. 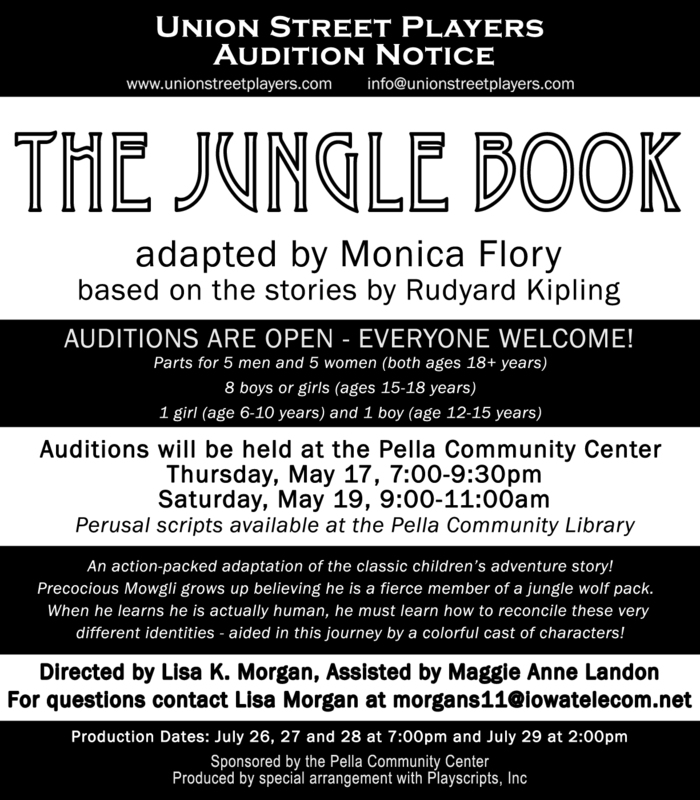 Auditions for “Jungle Book” Announced!